Finding transports near you is easy with Doobert’s powerful technology! 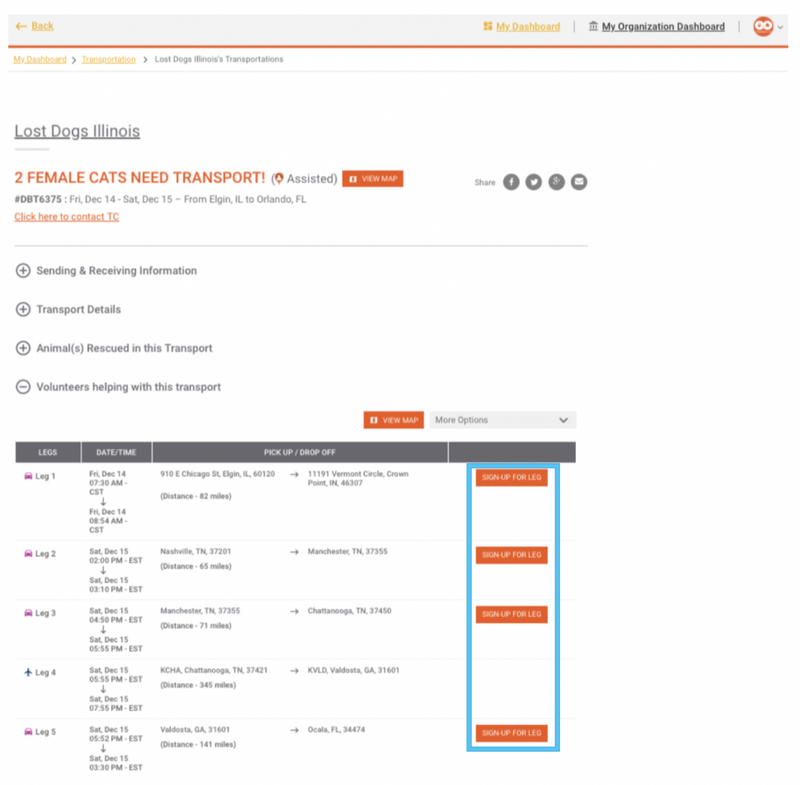 Remember that transports will be AUTOMATICALLY emailed to you based upon your transporter profile. But at any time you can also go and view transports that can use your help. 1. From your dashboard select the TRANSPORTS NEAR ME button. 2. Transports that match your profile will be listed on this page. To see the transport details and view available legs, click the transport ID on the left. 3. Once you’ve located the leg you want to sign up for, click the orange SIGN-UP FOR LEG button on the right side.